Roslan & Campion is one of North America’s best and most sought after PR teams for creating high-impact media campaigns to promote giant-screen films in IMAX theaters and Digital 3D cinemas at museums, science centers and commercial theaters around the USA and Canada. Roslan & Campion is uniquely equipped to work with exhibitors and theaters on long-term runs and limited engagements in individual markets. Boasting one of the best track records in the business for securing highly visible national TV and radio segments, Roslan & Campion ensures the most comprehensive media exposure at the national and regional level on TV, radio, online and in print for films in this genre. 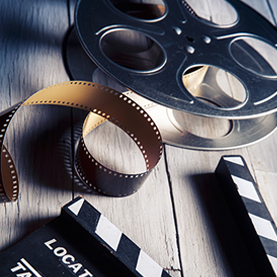 We have worked with the industry’s best filmmakers and producers of the world’s top-grossing films: National Geographic, MacGillivray Freeman Films, SK Films, nWave Pictures, Destination Cinema, Giant Screen Films (with Walden Media), WGBH/NOVA, and the former Ogden Entertainment.